GogoPipes offers Innovative glass hand pipes that are about 5 Inches long. These pipes has high quality and thick glass. 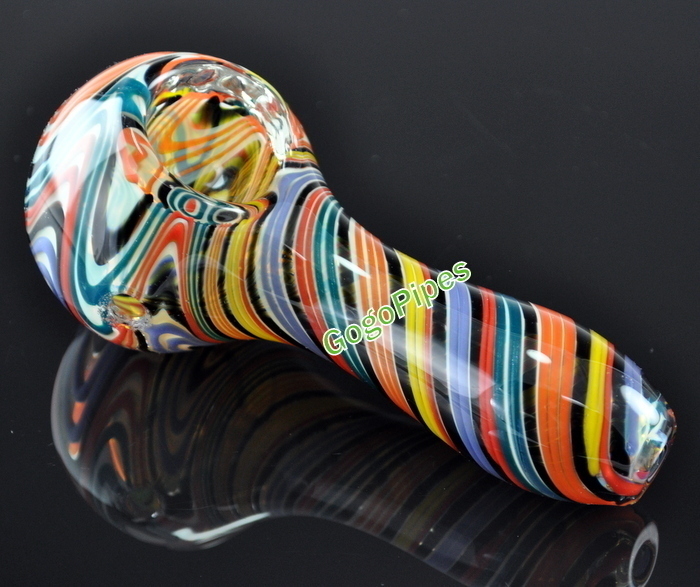 This pipe has multicolor design. This pipe is a must have for party time. Cons: This might be a con to someone but it has a pretty big bowl, I personally don't mind at all. I like extra space so I can cup it with my hand without burning it. Comments: I would definitely recommend this piece to anyone, it's great!